Learn how to rescue programs, settings and files from the Windows.old folder (which is created after you upgrade your Windows). Works for Windows 10, 8, 7, Vista and XP - without losing anything. In this article, we will see how to retrieve your programs, profile, settings, documents, pictures, music, movies, favorites and everything else from a Windows.old folder, which is created when you upgrade your computer to a newer Windows. The process uses an automatic software product, so it does not require a lot of technical knowledge for a successful recovery. Select the last scenario - In-place Upgrade from Windows.old. 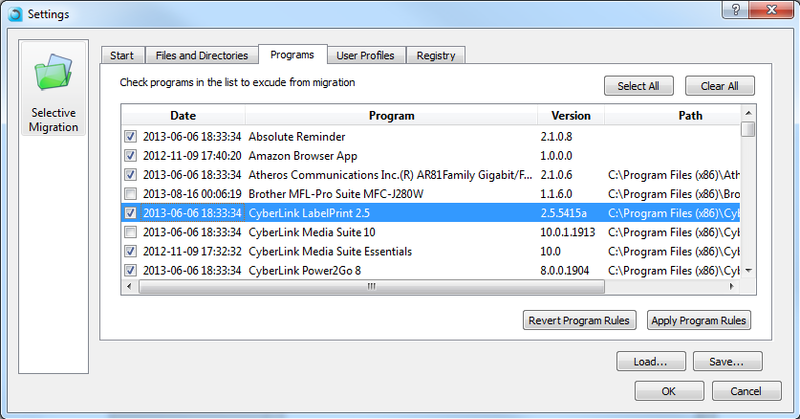 The Migration Kit will automatically detect the old installation. Confirm the selection, and press Next. If you want to only recover some of the programs, or some of the files, use the Advanced menu to select which ones you want. If you want to just recover everything, simply click Next to continue. You will be presented with a quick summary of what's about to be recovery - press "Go" to start the process. That's it - once the recovery process is complete, you'll have your apps and files rescued from windows.old to the newly install Windows!